Founded in 1909, Michio Suzuki opened the 'Suzuki Loom Works' in Hamamatsu, Shizuoka, Japan. A factory producing weaving looms for the country’s cotton industry, the firm developed to build their first motorised bicycle in 1952. Using a 36cc two-stroke engine, clipped to the frame of a conventional pushbike, this inexpensive mode of transport quickly began transforming into the global conglomerate that we know today. Suzuki took their first Isle of Man TT victory in 1962 with Ernst Degner aboard a 50cc machine, before going on to win the world title. They then won five more titles in the following six years. By 1976, Barry Sheene was dominating Grand Prix 500 racing and the GS750 was being released; Suzuki’s first large-capacity four-cylinder bike. This was followed by a succession of class-defining motorcycles, including the GSX1100S Katana in 1981, GSX-R750 in 1985 and GSX1300R Hayabusa in 1999. By 2012, Suzuki had sold one million units wearing the distinctive GSX-R logo and have continued to sell bikes ever since. 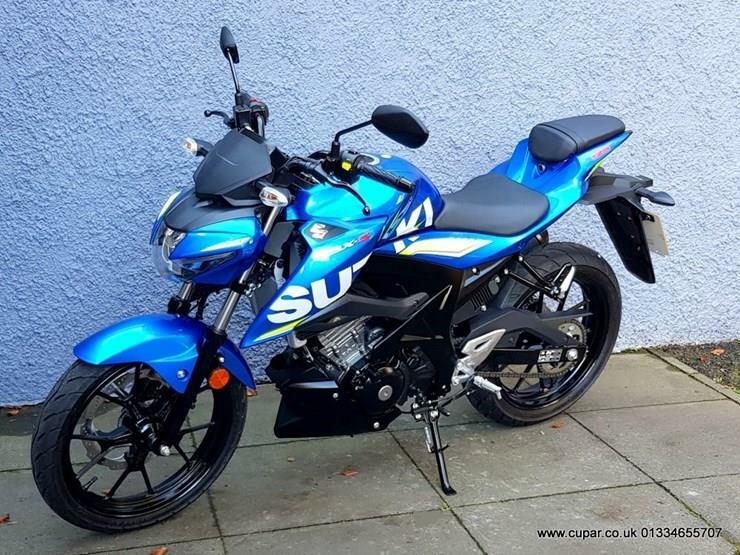 This popularity means that there are now a vast array of used Suzukis available on MCN Bikes For Sale. From adventurers to sportsbikes and everything in between, there is a bike for every taste. We’ve selected five of our favourites currently up for grabs and you can read more about them below. Introduced in 2001, the GSX-R1000 has been at the forefront of superbike design for almost 20 years and remains Suzuki’s sole sportsbike offering, after the demise of the GSX-R600 and 750 last year. Although appearing uncompromising and extreme in nature, the GSX-R has always been surprisingly roomy, making it a good option for the road. MCN’s Chief Road Tester, Michael Neeves, took his 2017 long-term machine on multiple cross-country rides and said: "It has a bum-friendly seat and bars you don’t feel like you’re doing a handstand on, but pegs are a little high for taller riders like me and if the Suzuki had the legroom of an R1 or Panigale, or even the adjustable pegs of the current GSX-R600/750 I’d have happier knees. That said, it’s still more spacious than a ZX-10R, Fireblade and S1000RR." 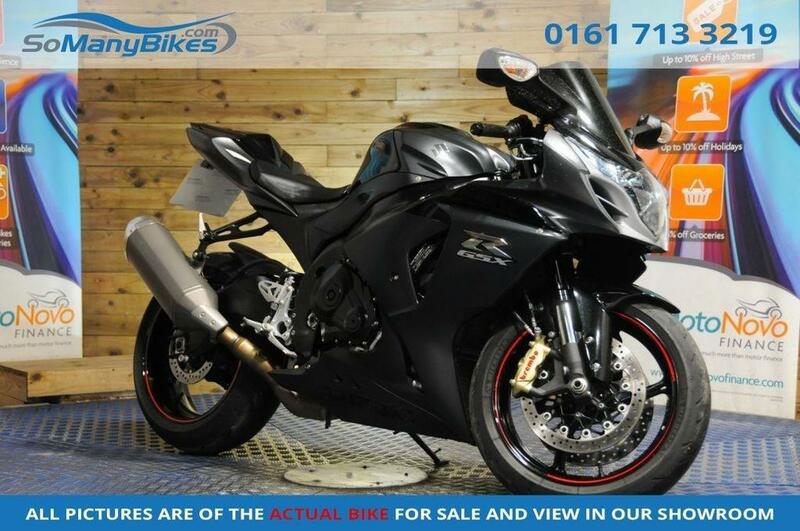 Popular as both road and track bikes and snapped up by keen club racers, a GSX-R1000 could be yours for as little as £2388 with MCN, with models available dating back as far as 2001. 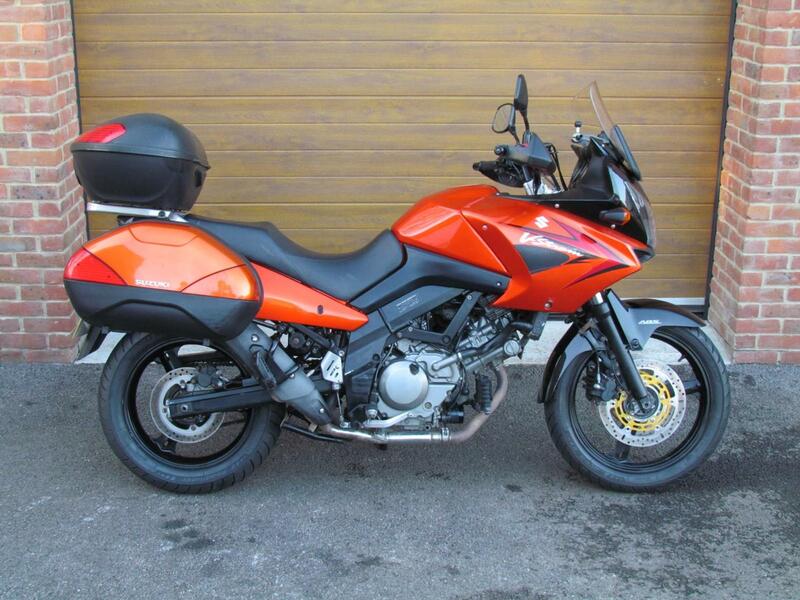 The Suzuki DL650 V-Strom is as dependable as they come and has ferried waves of new and experienced riders across continents, along arduous daily commutes and around stacks of sweeping backroads. Look up 'workhorse' in the dictionary and a picture of the 650 ‘Strom will be there. 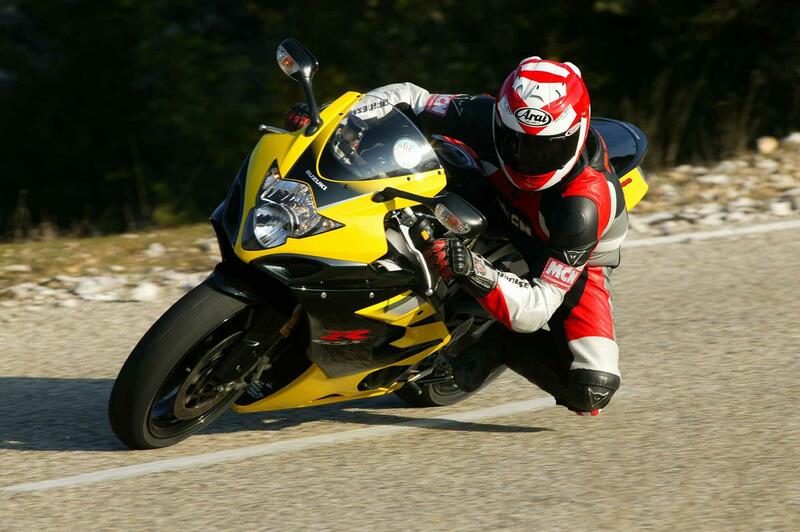 Introduced in 2004, as a smaller alternative to the 1000cc version, the bike uses a non-threatening V-Twin engine derived from the SV650 and has been updated over time to feature ABS, traction control, better luggage systems and more. Due to their reliable nature, high-mileage examples are not uncommon, however if they have been looked after, then you should have nothing to worry about. Introduced in 2017 alongside the GSX-R125, the GSX-S offers an upright entry-point to motorcycling ideal for novices and commuters alike. Frugal, stylish and surprisingly quick, the little Suzuki will rev until the cows come home and still return an impressive MPG figure. Often seen as a stepping stone to a larger machine, despite existing for only two years, there are currently 33 examples of the bike on MCN Bikes For Sale. As with any 125, it is important to check for crash damage throughout and look for evidence of a service history and maintenance. This particular machine is a mint example. If you’ve kept half-an-eye on used bike prices over recent years, you will know that the demand for classic two-stroke metal has rocketed. 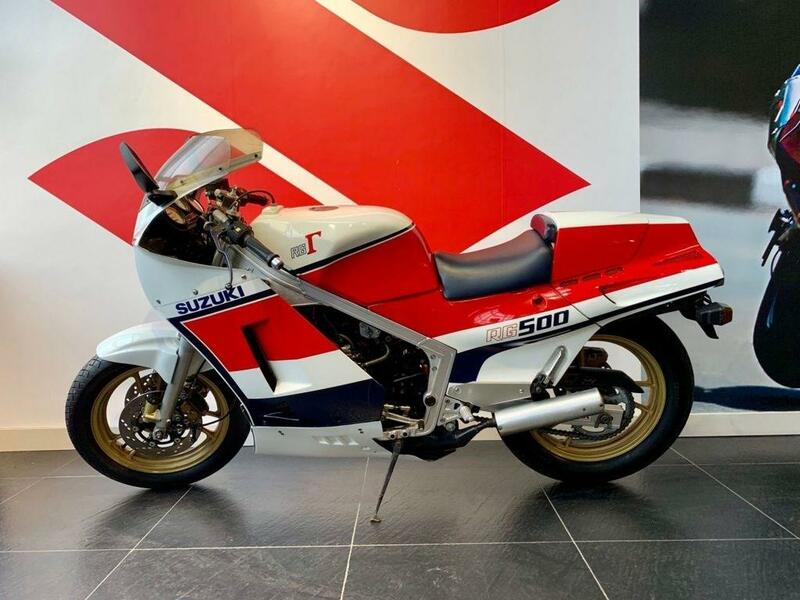 Once discarded and available for less that £1000, the Suzuki RG500 is at the forefront of this resurgence, now changing hands for five-figure sums as non-runners. Despite their headbanger reputation and struggles with reliability, a clean two-stroke can be a great investment, with prices only set to rise. What’s more, if you want to ride it, that distinctive smell, 'ringdy-ding' soundtrack and distinctive four-pipe design to the rear are enough to turn every ride into an event. Expect to grab everyone’s attention at the local bike meet and be the envy of all as you exit in a plume of blue haze. 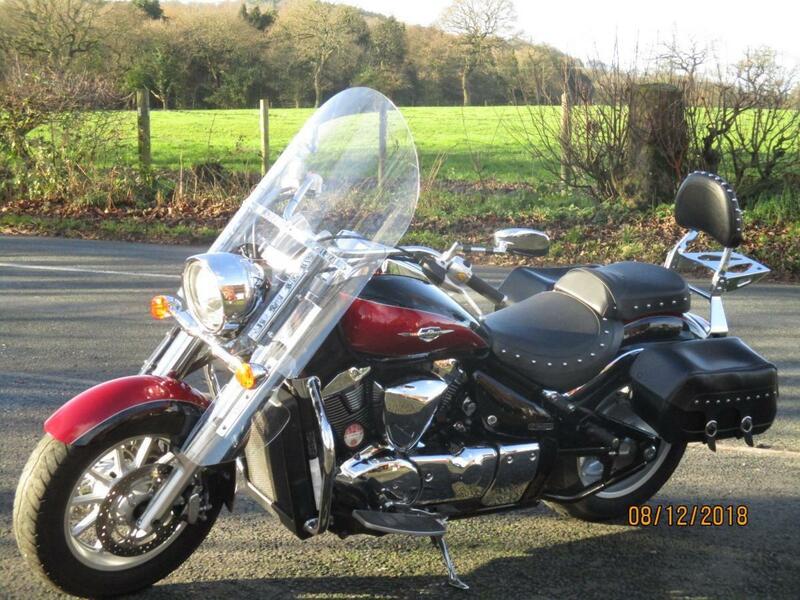 If none of the above are doing it for you, why not consider the Suzuki VL1800 cruiser? A raked-out comfort machine, the bike is best enjoyed when things are slowed down, allowing you to take in the scenery with the gentle burble of a lazy V-twin as the soundtrack. Originally appearing as a VL1500 in 1998, used examples of both machines are rare, however could be the perfect antidote to the fast pace of modern life. With a soft seat and softly sprung suspension, the bike is designed to glide along in comfort, however will struggle in the bends if you attempt to push it too hard. Just two bikes are currently available on MCN Bikes For Sale, however both are in superb condition, suggesting owners take pride in their machines.